Google Maps is one of the most popular and highest user-rated apps on the Android Marketplace. It is one of the best apps when it comes to GPS navigation on trips and finding the closest fast food joint while on the road or when visiting a new city. Google has been hard at work to make the app even more helpful, pushing out an update every month for the past six months to add new features like swiping between search results and providing useful information like photos and reviews of restaurants and hotels. Today, the folks at Google have announced another update, Google Maps 4.4, which introduces an even easier way to find places near you with a dedicated Places icon, an updated Place Pages, and live maps via the Navigation icon. 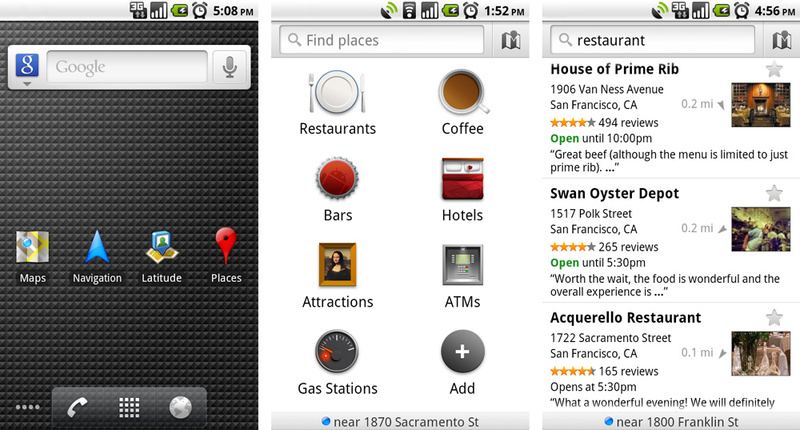 The new Places icon can be found in the app launcher along with all the other apps on your Android-powered phone. Like the name implies, opening the app will give you a detailed list of all the nearby places sorted into categories like restaurants, bars, hotels, even ATMs. Default categories will be supplied, however, users can also add their own most frequent searches as well as use the search bar at the top to look for additional places, both generic like “Coffee” as well as specific like “Mishka’s.” If you want to learn more about a place you see in the Places icon, you can check it out via the updated Places Pages and in more detail than ever before: Google Maps 4.4 is introducing new details like prices, parking, menus, business hours, compass direction, and distance along with photos and reviews, giving you more information about places than ever before. 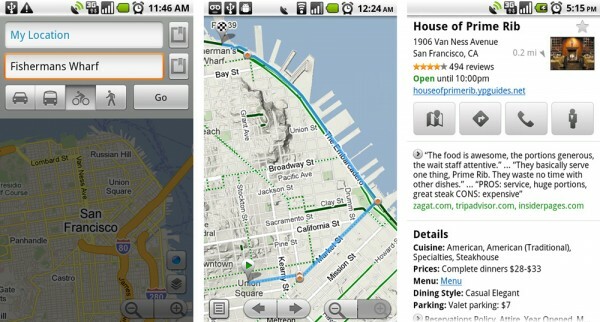 Finally, another new feature in Google Maps 4.4 is that the Navigation icon now lets you view live maps. We at Skattertech discovered during testing of the new update that tapping Navigation allows you to use the map view and see 3D maps as well as live traffic, which makes getting to and from locations even easier. When it comes down to it, anything to makes traveling easier is a win-win when it comes to navigation apps. Android owners will be happy to have a simpler way of seeing nearby places and will be more inclined to download the update, which in turn makes Google happy since more people are using its software over its competitors’. Doing this update for Android first is a very smart move in and of itself, as this is a field within the smart phone market that has been growing exponentially over the past year, and doesn’t look to be slowing down anytime soon. If Google keeps making updates like these, it will have no problem in maintaining its dominance in this area.